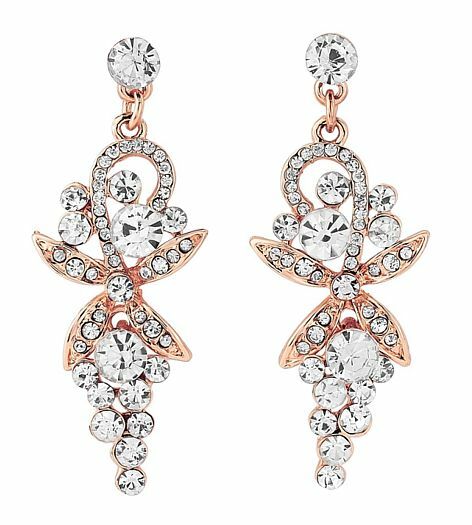 For those who prefer a rose gold setting, these elegant earrings are designed to take you from am – pm. Dramatic, without being OTT, they bring a touch of pure magic to daytime outfits - and look divine with party outfits and for dinner dates. Sparkling crystals in a rose gold finish setting. Size: 3.5mm/1.5”.